After a long summer gardening, your peppers are finally ready. Grinning with excitement, you snap off a tiny bright red pod and gingerly take a tiny bite. It’s crisp and crunchy, a tiny bit spicy, and you smile at your success. Then heat begins to build. It starts to get hot, really hot! At this point you realize, “I’ve made a huge mistake.” Spitting it out, seeds flying everywhere, gasping, crying, you are running inside for milk. Call the fire department! Plunge your head in water! Call poison control! These things should be outlawed by the Geneva Convention. In your agony you think, “Why do humans eat this stuff?” Why is there such a dramatic difference between biting into an innocuous green bell pepper (Capsicum annuum) or a mouth-scorching habenaro (Capsicum chinense)? The answer: the furious effect of a molecule called capsaicin. It’s the chemical punch in pepper-spray, and celebrated by chili-heads all over the world. But whether you can’t get enough heat, or you won’t even walk down the hot sauce aisle (like me), at some point in your life, you have probably ordered your burrito “extra spicy” because it seemed like a good idea at the time. This molecule of regret has been used by humans for centuries in more than just food. 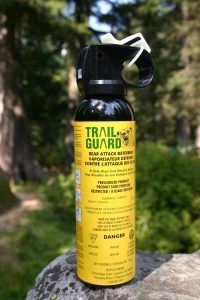 It is used to subdue criminals, for insect deterrence, and even to protect crops from roving herds of elephants. But how healthy is this painful food, and what does medical science have to say about it? Pepper plants evolved capsaicin as a defense mechanism, but it’s not actually targeted at us. Recent research suggests that capsaicin prevents fungus attacks on the pepper plants, and we are just collateral damage in this fungal warfare. Nevertheless, humans have been eating them for at least 6000 years. We appear to be the only mammal that actually enjoys hot peppers, though birds eat them readily since they are immune to the effects of capsaicin. Aztec children were punished by being held over the flames of burning chili peppers. Until recently, measuring the heat in different peppers has been little better than random people eating peppers and writing down a scale of “meh” to “pretty hot” to “I am literally on fire”. The traditional measure is the Scoville Heat Unit (SHU), named for pharmacist Wilber Scoville who apparently really enjoyed spicy foods. This number is based on subjective taste, so is not useful in making precise formulations; medical applications rely on the percent of capsaicin in a treatment. To give you an idea of what heat you can expect in your lunch, banana peppers are between 100-900 SHU, Sriracha sauce is 1000-2500 SHU, Tabasco sauce is 2500-5000 SHU, and habanero peppers clock in at painful 100,000-350,000 SHU. 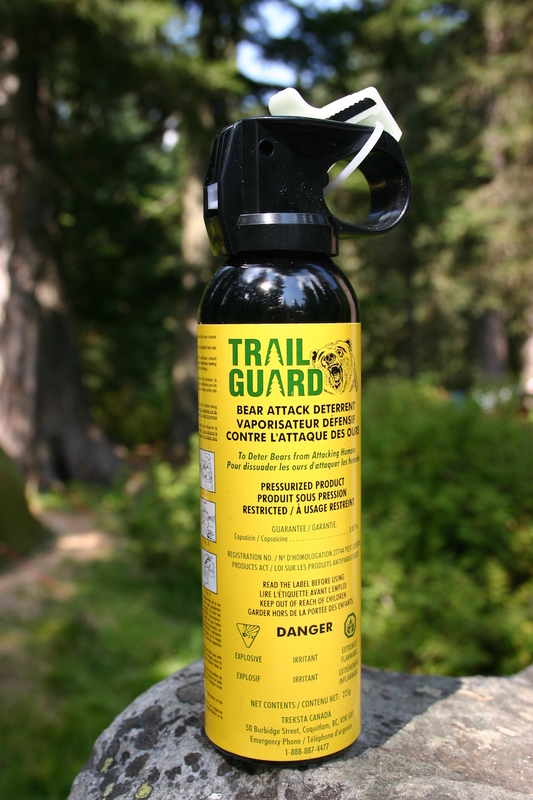 Astoundingly, bear spray is made up of 2% capsaicin and measures at 3.3 million SHU, as hot as the hottest pepper ever grown, the Carolina Reaper! As if that were not bad enough, there are even stronger heat-inducing chemicals classed as “ultrapotent”. The two best studied are Tinyatoxin, which is over 300 times more irritating than capsaicin, found in a plant in Nigeria. Worst of all is Resinifertoxin which was isolated from a cactus grown in Morocco, and is estimated to be 1000 times stronger than capsaicin! Besides just burning our mouths and other body parts, what good is capsaicin to human health? Though capsaicin apparently causes pain, with repeated use it actually reduces the level of Substance P, a neurotransmitter involved in pain perception. Thus, it can act as an analgesic for pain from osteoarthritis, fibromyalgia, shingles and even pain from surgery! Creams containing capsaicin are helpful in alleviating lower back pain as well (note that Icy HotTM contains menthol and methyl salicylate to generate the feeling of heat, not capsaicin). Topical doses of creams containing 0.025% to 0.075% capsaicin can reduce pain from osteoarthritis. Accordingly, these creams would be about 100 times hotter than Tabasco sauce, so caution is warranted when applying them (and please, forget about eating them). A prescription patch with 8% capsaicin is also sold under the trade name Qutenza. A synthetic type of capsaicin, called zucapsaicin, is sold under prescription for osteoarthritic pain and migraines, and is said to have more tolerable side effects. Importantly, capsaicin can be used in conjunction with traditional pain-relievers, thereby reducing the risks of higher doses. Capsaicin has been shown to exhibit anti-tumor effects through the generation of reactive oxygen species by inducing apoptosis, or programmed cell death. 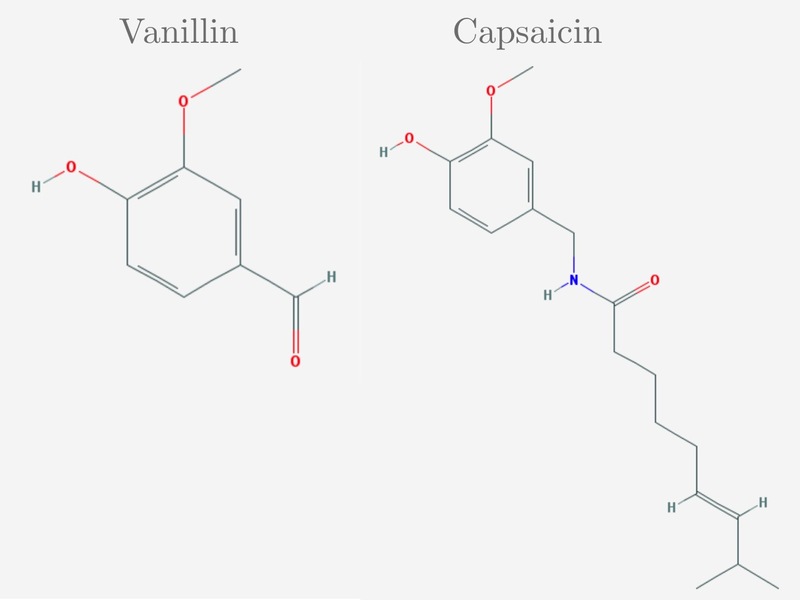 Anti-cancer work is preliminary and ongoing in cell cultures, but capsaicin may lead to a better candidate drug. One of the most promising areas of research is in capsaicin’s potential role in combating obesity. Mounting evidence finds that capsaicin consumption correlates with lower body fat in epidemiological study populations. Mechanistic studies support an increase in programmed cell death in pre-adipocyte (pre-fat cells), and fully differentiated adipocytes (mature fat cells), as well as increasing the feeling of fullness after eating. Some difficult to treat itching syndromes such as brachiolradial pruritis, an intense itching of the upper arms or leg, have been effectively treated with capsaicin patches. Other skin conditions such as psoriasis and itching syndromes, such as prurigo nodularius, have shown improvement with capsaicin creams. Another surprising use has been to improve the ability of elderly patients to swallow solid foods, after the application of 0.025% capsaicin ointment applied to the ear canal. As amazing as these findings are, like any drug, capsaicin is no panacea – but that hasn’t stopped scientists from testing it out. Studies have found no effect on cancer prevention, drug addiction, heart disease, stroke, or sexual function. Also, it is not effective for all types of pain. For example it has been studied to relieve persistent pain after hernia surgeries and been found ineffective. It has also been found ineffective for peripheral neuropathy caused by HIV. This is not to temper your enthusiasm – no drug can do everything. Scientists are working hard to discover new uses for many other natural and synthetic chemicals to alleviate pain. 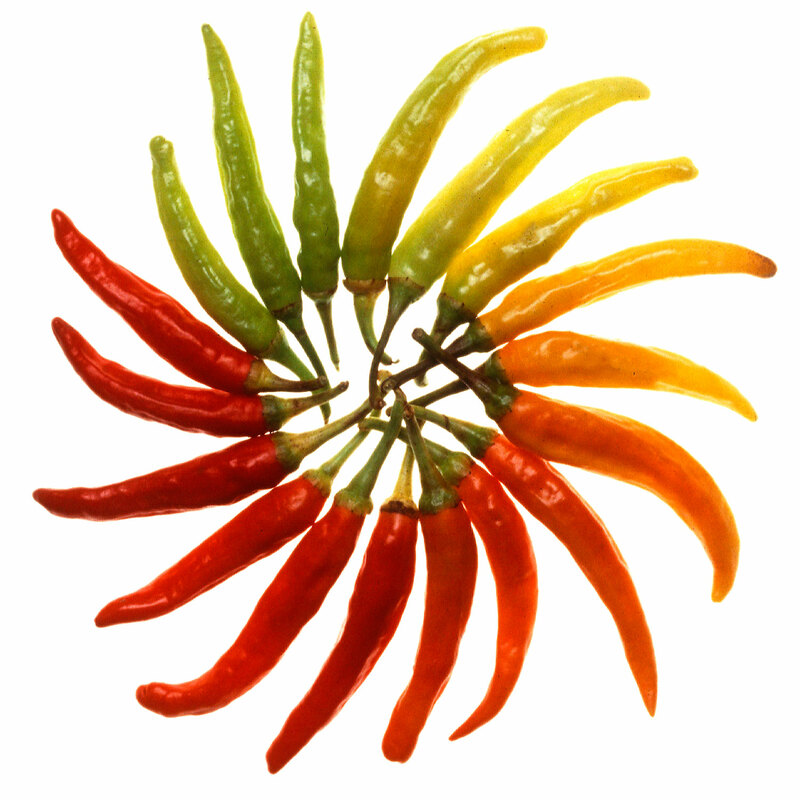 As with any drug, capsaicin can have interactions with other medications. Topical creams may enhance coughing associated with ACE inhibitors, typically used for lowering blood pressure. Capsaicin increases stomach acid production, so heartburn medications might not be as effective. How safe is capsaicin to eat? If you were to get ahold of pure capsaicin crystals, you would have to eat between 1 oz and 1 pint for it to be fatal, though given the absolute extreme bodily reaction, it is unlikely that anyone would be able to ingest this quantity in the first place. Given its history in the human diet, capsaicin is an exceptionally well-documented food additive and is considered very safe. 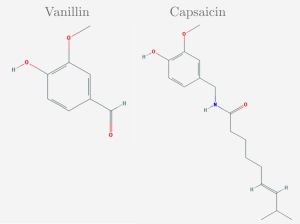 Structurally, capsaicin belongs to a group of chemicals called vanilloids, which includes vanilla flavoring, though these two chemicals exhibit drastically different effects on our tongues. When capsaicin comes into contact with your skin, it activates a protein called “transient receptor potential vanilloid type 1” (TRPV1). This protein acts as signaling molecule and unsurprisingly, is responsible for signaling noxious heat (>107 degrees F), so your body actually does think it’s burning! This receptor is everywhere in the body, in both the skin and internal organs, which explains the painful heat sensation when capsaicin contacts the skin as in the use of pepper spray. Birds also have the TRPV1 receptor, but their version is sufficiently different from the mammalian version that it is not activated by capsaicin. I would be remiss not to mention the best ways to reduce the fire if you have accidentally taken a bite out of a pepper that turned out to be a huge mistake. Since capsaicin is a greasy molecule, the best way to dissolve it from your skin is by using foods high in oil or fat. 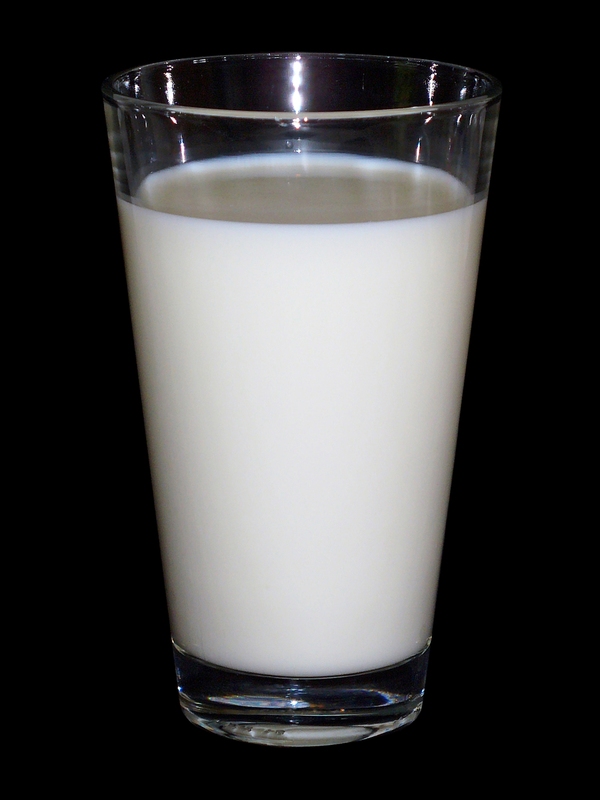 The old standby is cold milk, or yogurt. Water does not work! Also somewhat effective is peanut butter. Some people swear by a few sips of vodka, though whether that helps the burn or just blocks the memory of it is debatable. Our unique fascination with hot peppers turns out to have many more beneficial effects than spicing up our pad thai; it may improve our health, relieve pain, and might even be part of what makes us human. Paul Bloom of Yale University explains, “Philosophers have often looked for the defining feature of humans — language, rationality, culture and so on. I’d stick with this: Man is the only animal that likes Tabasco sauce.” As scientists, we are working hard to categorize and find uses for this chemical. We have already revealed new uses for capsaicin beyond the kitchen. Research into therapeutic uses is increasing, with over 500 scientific papers being published about capsaicin each year. Finally, we are turning a painful pleasure to a weapon against pain itself. 1 Tewksbury, J. J., Reagan, K. M., Machnicki, N. J., Carlo, T. A., Haak, D. C., Penaloza, A. L. & Levey, D. J. Evolutionary ecology of pungency in wild chilies. Proc Natl Acad Sci U S A 105, 11808-11811, doi:10.1073/pnas.0802691105 (2008). 2 Kondo, E., Jinnouchi, O., Ohnishi, H., Kawata, I., Nakano, S., Goda, M., Kitamura, Y., Abe, K., Hoshikawa, H., Okamoto, H. & Takeda, N. Effects of aural stimulation with capsaicin ointment on swallowing function in elderly patients with non-obstructive dysphagia. Clinical interventions in aging 9, 1661-1667, doi:10.2147/CIA.S67602 (2014). 3 Zeidler, C., Luling, H., Dieckmann, A., Osada, N., Schedel, F., Steinke, S., Augustin, M. & Stander, S. Capsaicin 8% cutaneous patch – a promising treatment for brachioradial pruritus? The British journal of dermatology, doi:10.1111/bjd.13501 (2014). 4 Leung, F. W. Capsaicin-sensitive intestinal mucosal afferent mechanism and body fat distribution. Life sciences 83, 1-5, doi:10.1016/j.lfs.2008.04.018 (2008). 5 Leung, F. W. Capsaicin as an anti-obesity drug. Progress in drug research. Fortschritte der Arzneimittelforschung. Progres des recherches pharmaceutiques 68, 171-179 (2014). 6 Yang, K. M., Pyo, J. O., Kim, G. Y., Yu, R., Han, I. S., Ju, S. A., Kim, W. H. & Kim, B. S. Capsaicin induces apoptosis by generating reactive oxygen species and disrupting mitochondrial transmembrane potential in human colon cancer cell lines. Cellular & molecular biology letters 14, 497-510, doi:10.2478/s11658-009-0016-2 (2009). 7 Diaz-Laviada, I. & Rodriguez-Henche, N. The potential antitumor effects of capsaicin. Progress in drug research. Fortschritte der Arzneimittelforschung. Progres des recherches pharmaceutiques 68, 181-208 (2014). 8 Nagy, I., Friston, D., Valente, J. S., Torres Perez, J. V. & Andreou, A. P. Pharmacology of the capsaicin receptor, transient receptor potential vanilloid type-1 ion channel. Progress in drug research. Fortschritte der Arzneimittelforschung. Progres des recherches pharmaceutiques 68, 39-76 (2014). 9 Aasvang, E. K., Hansen, J. B., Malmstrom, J., Asmussen, T., Gennevois, D., Struys, M. M. & Kehlet, H. The effect of wound instillation of a novel purified capsaicin formulation on postherniotomy pain: a double-blind, randomized, placebo-controlled study. Anesthesia and analgesia 107, 282-291, doi:10.1213/ane.0b013e31816b94c9 (2008). 10 Jordt, S. E. & Julius, D. Molecular basis for species-specific sensitivity to “hot” chili peppers. Cell 108, 421-430 (2002).